(1) Before mold trial, dry the raw materials first. All materials need to be dried except PE/PP. It is a standard practice to perform the trial with new materials. (2) Mount the mold onto the center hole and keep it aligned. It is enough to set the clamping force at 1/3 of the rated capacity (tons). During the injection process, if burs occur due to some reason rather than too high injection pressure, the clamping force can be gradually increased until burs disappear, and such a practice is able to improve mold service life. 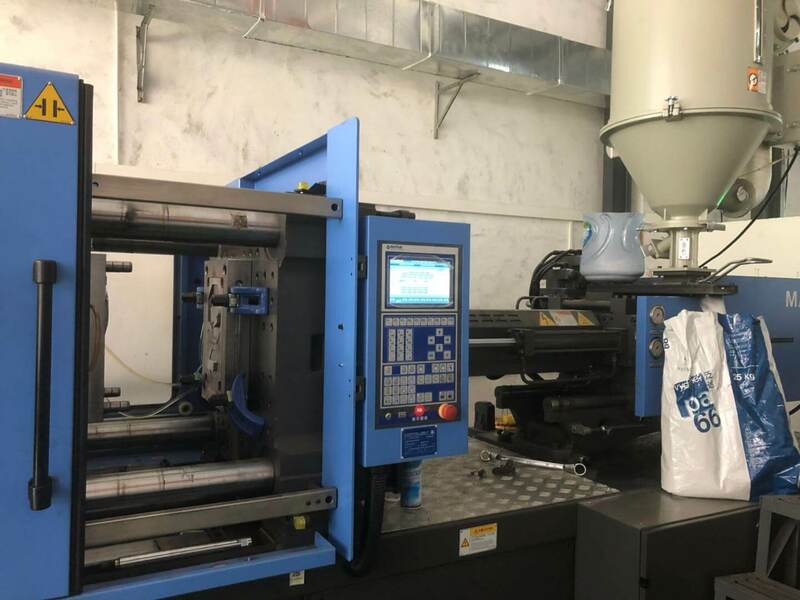 (3) Mold opening speed, pressure and position should be appropriately adjusted, and in particular, low pressure protection should be well adjusted, because it is a new mold, of which the molded product is unknown. If a mold is equipped with slides, the opening speed cannot be too fast. For a core-pulling mold, the first thing to do is to try it manually to see whether it functions well. Or else, the mold will be damaged in case of mistake. (4) Clean the barrel with PP or PMMA, which are used for viscosity and friction respectively. Material temperature should be kept between 220 – 240℃. Make the travel as short as possible, and apply some backpressure to cleanse with fast injection. Apply some reasonably proportioned detergent if it is not easy to clean. (5) Condition setting/material injection volume/pressure & speed/time/quantity/position, etc. Injection pressure/injection speed/quantity are set from lower to higher according to product conditions. Cooling time/injection time should be gradually shortened as the product is taking shape, so as to prevent sticking and overfill. (6) Packing pressure must be applied, mainly with packing material of 5 – 10mm. (7) For molds with straight hydraulic clamping system, it is necessary to see whether the clamping force is sufficient; for the toggle type, it is necessary to check whether the crosshead is straightened, to prevent the mold from being pushed backwards during the injection process, thus avoiding mold damage caused by leakage of large burs. (8) Since the molding conditions are unknown, release agent are needed for the first several runs. If the product is released smoothly without any ejection marks, release agent will not be necessary. (9) Each parameter should be gradually adjusted according to the molded product. Effect of pressure/speed change will show within 2 runs; effect of material/mold temperature change will show in at least 5 minutes. (10) The trial molded products should be stored in different bags, with defects and suggestions for improvement noted down. It is better to work in collaboration with the plastic injection mold manufacturer. (11) Pay attention to mold temperature increase. During multiple mold runs, mold temperature should be controlled via coolant or oil temperature/water temperature/electric heating tube – select different mold temperature controls for different materials, such as hot mold (60℃ and above): nylon/PBT/POM/PPS/PET/PMMA/PC/NORYL, and cold mold (60℃ and below): PE/PP/PS/AS/ABS/PVC/PU. (12) Air blow can be used to determine how water circulates within the mold. With regard to water pipe installation, inlet pipe should be installed at the lower end; and the return pipe, the upper end. (13) The machine can only be stopped after raw materials in the barrel are completely injected. Then, remove the water pipe and blow air into the mold to expel water from it. Apply anti-rust agent to the inside of the mold and clean material trifles at the same time. (1) Backpressure should be adjusted according to product conditions, usually between 2 to 5kg/cm2, to achieve an even material feeding. As a precondition, backing off should not allow entry of air. (2) When melting plastic, rotational speed can be faster for low viscosity, and should be slower for high viscosity. (3) The setting of a cycle must ensure that the material can be fully melted for the next round of injection. If this purpose cannot be achieved, material temperature/backpressure/cooling time and change for a bigger machine will be among the important considerations. (4) If the raw material for mold trial is PVC/POM/PBT, they need to be cleaned with PP or PE after the trial. (6) For products that have high requirements for precision, another measurement is required on the following day, for confirmation of mold modification. (7) We have to be clear that there are rings in mm thread (thin thread), such as 10mm, 12mm, 16mm and 20mm, etc., and rings in inch (thick thread), such as 3/8〞, 1/2〞, 5/8〞 and 1〞 etc. There are also thick and thin water pipes (pipe thread), but only the application of quick joint is able to save labor hours.